Sorry, I had to use a Tard image, because I love his grumpy face. Also, he answered the title question perfectly. I am currently working on three projects, one of which I’ll provide a bit of a teaser for at the end, so keep reading. It seems insane to be working on three books at once, but it also is the only way to survive. I must be ahead of the curve and always prepared with new material. Plus, it’s a hell of a lot of fun to move form one intense world to the next. Here’s a peek at each. 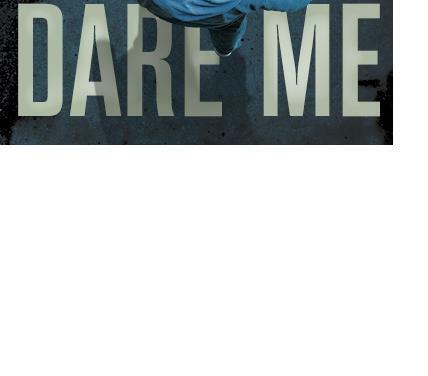 First, my next novel, Dare Me, will be released in the fall by Running Press. I don’t have an exact date, but I do have a cover image (hint, hint). I have to complete at least one more pass of the manuscript based on my editor’s notes. Fingers crossed it’s only one. From inception to now, I’ve had two major passes that physically hurt. But the pain is worth it because the finished project, a story of YouTube daredevils going from daring to death-defying, will be fantastic. It is not as dark as Tap Out but the intensity remains. When it’s complete, I’ll offer some teaser excerpts. Second, as I’m finishing up Dare Me, my agent is reading the novel I wrote this past summer and fall. It has a tentative title, and my first reader loved it. He was even surprised by the ending, which I think amazed both of us. But I cannot give away too much, because until my agent gives the green light, the manuscript is just that, not quite ready for the “novel” label. Third, I am currently working on a novel that is far and away the largest departure from my comfort zone. Yet, also something I’ve always wanted to write. I’m researching as much as I’m writing and am having a great time watching this story come together. Here’s hoping I can see it through in the next couple of months. Last year at this time I never would have thought I was going to be this far down the rabbit hole. But now, I find it to be the only place I want to be. I hope you continue to enjoy and share Tap Out, and I look forward to offering you more work so that you can continue. DARE ME sounds awesome! I’m sure three projects at once is time consuming, but what a wonderful problem to have! Keep venturing down the rabbit hole; teens need more books by authors who aren’t afraid to take chances (like Tap Out). I can’t wait to get my grubby little paws on DARE ME. I fell in love with this concept when you first shared it with me and cannot believe we’re already to the cover stage–holy crap!!! Holy crap is right. It went fast, huh? Editing the last major pass right now (fingers crossed) and am falling in love with the story all over again.